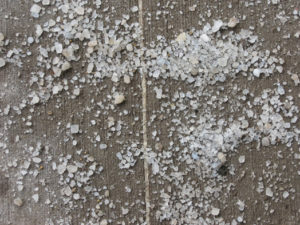 If there is a layer of salt remaining on the driveway or sidewalk after the ice melts, too much salt got sprinkled. If you find excess sand or salt, sweep it up and throw it away so that it is not washed into the storm sewer. One teaspoon of salt is enough to contaminate five gallons of water forever. Salts, like the de-icers we use in winter, stay in water without settling out contaminating and damaging the North Platte River and freshwater lakes where we fish. Previous Previous post: Waterwise Wednesday: Turn Your Home into a Stormwater Pollution Solution!